Largest Buddha Image in the world. Stands 130 meters tall Buddha image carved into a Mountain. Crocodile shows, gigantic rock gardens, exotic plants, ponds, flower gardens, a zoo and much more?. 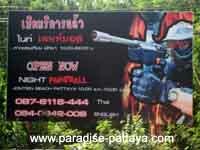 Located about 5 km from Pattaya. Watch Elephants demonstrate skills in hauling logs and re-enactment of war Elephants in historic battles and parades. Also watch the Elephant afternoon football match and/or you can do some elephant back trekking, jungle walking and rafting. Located about 18 kilometers south of Pattaya, is a Thai-village-style recreation park. The Garden is a sprawling recreation park in a typical Thai setting. A wonderful group of traditional Thai pavilions, gardens of different flowering plants, situated around an amazingly beautifully landscaped site. Visit the Big Buddha and take a walk around the Wat Khao Phra Bat where the big Buddha statues are located. From the temple you have a stunning view of Jomtien, Pattaya and the bay. Located just north of Jomtien. A perfect place for "splashing" family fun. This is an enormous beach front water amusement park with water slides, whirlpools, swimming pools, and restaurants. On Route 35 to Rayong. Named after Thailand's most famous racing driver; Prince Bira. Bira Circuit has full facilities for arranging all kinds of motorsport events; race meeting, racing school, test run, practice and more. You can also hire Formula 3 racing cars and go karts at the racing school on the circuit. Fishermen who have gone fishing in Pattaya for the big ones in the waters, really enjoyed themselves and said they will be back for more. The Adventure Divers offer DSD (discover scuba diving) 1 day courses. That's a great course if you want to find out if scuba diving is for you. Discover the wild and vibrant Nightlife. If you like shopping you will like this shopping center. Shop until you drop. Located on the 4th floor of Royal Garden Plaza. They call it the world of 100% fun. Fun for the kids and it won't scare them for life. Okay there are more than 10 things to do. What can I say? 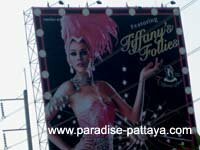 Pattaya has a lot of things to offer beyond the go go bars. Take some time and check out one of these things - you'll be glad you did!